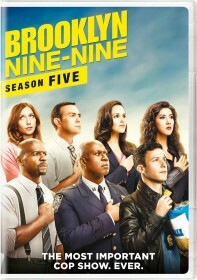 FOX has issued the press release for the October 4 episode of Brooklyn Nine-Nine, "Coral Palms Pt. 3". Eric Roberts (Suits), Ken Marino (Childrens Hospital) and Jim O'Heir (Parks and Recreation) guest star in the episode. "Coral Palms Pt. 3" - The team makes a road trip to Florida to try to help Jake and Holt take down Figgis (guest star Eric Roberts, "Suits"). With an unforeseen injury and yet another interruption by Sheriff Reynolds (guest star Jim O'Heir, "Parks and Recreation"), the plan doesn't follow through quite like they all had hoped. In the midst of the chaos, Jake and Amy share an awkward reunion in the all-new "Coral Palms Pt.3" episode of BROOKLYN NINE-NINE airing Tuesday, Oct. 4 (8:00-8:30 PM ET/PT) on FOX. The team makes a road trip to Florida to try to help Jake and Holt take down Figgis. With an unforeseen injury and yet another interruption by Sheriff Reynolds, the plan doesn't follow through quite like they all had hoped. In the midst of the chaos, Jake and Amy share an awkward reunion.